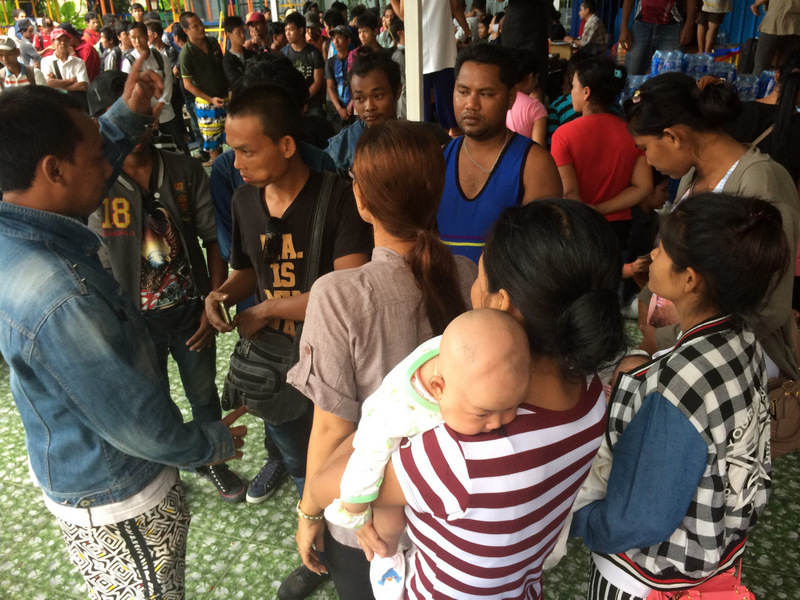 PHUKET: Hundreds of migrant workers sacked in Phuket, Phang Nga and Krabi in the fallout from the harsher penalties under labour law have arrived in Phuket begging for help to be sent home. Some of them have been hiding in the jungle for days out of fear of being caught. 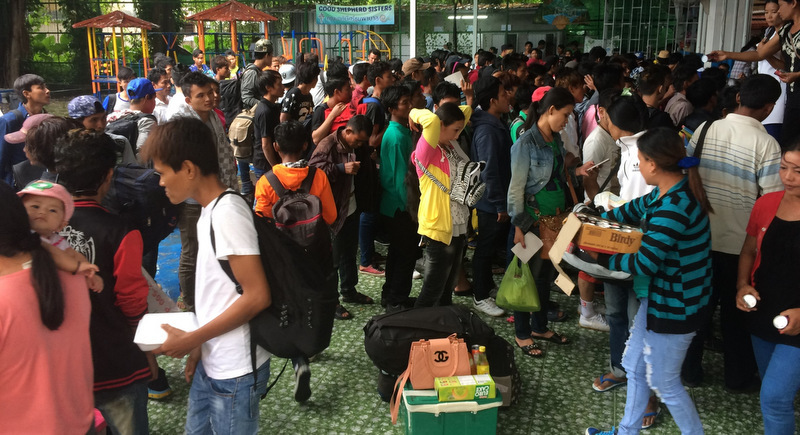 A total of 389 migrant workers on Friday and Saturday (June 30-July 1) gathered at The Mike Matthews Learning Center in Rassada, requesting assistance in order to return to Myanmar. 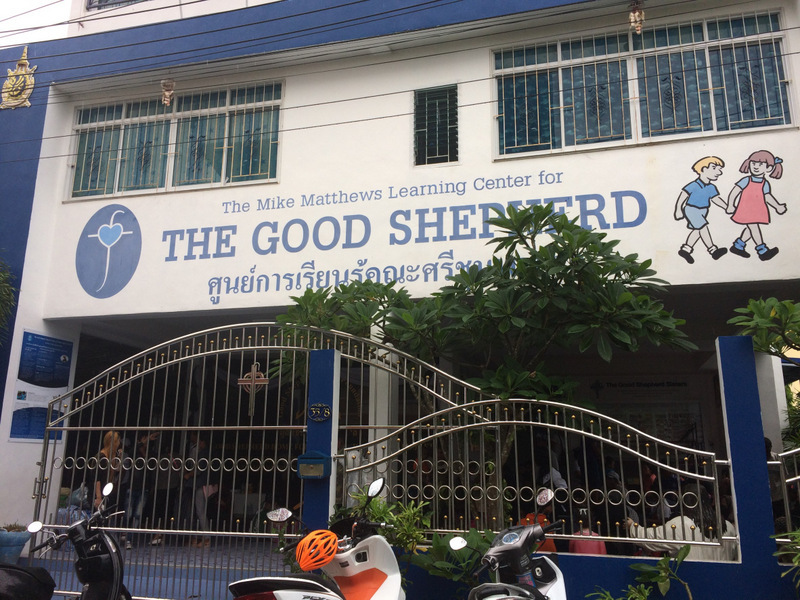 The learning centre, set up and operated by the well-known charity the Good Shepherd, was opened in 2010 to provide basic education to children from poor families from Myanmar. 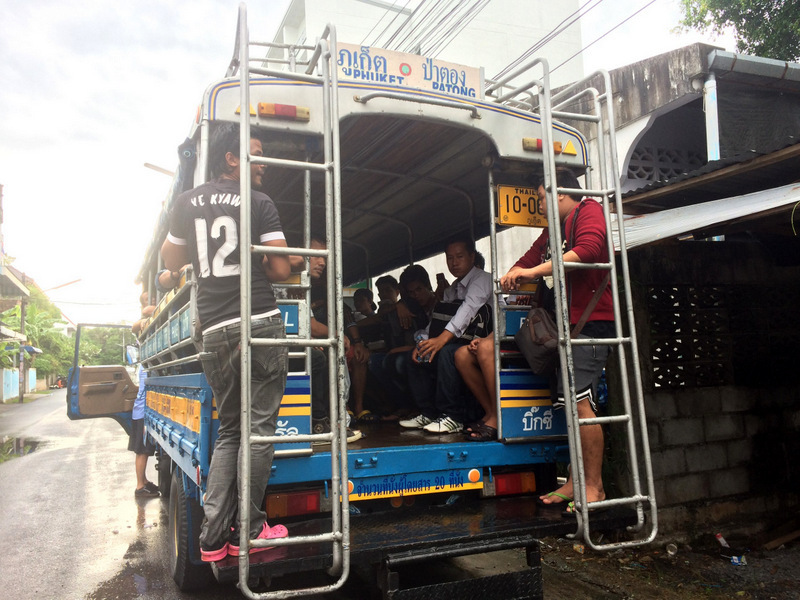 The workers reported that they had been sacked from various jobs across Phang Nga, Phuket and Krabi provinces after the harsher labour law penalties issued in an “Emergency Decree”, effective on June 23. (See story here). Under the new penalties, deceiving that one can bring a foreigner to work without a work permit can incur a fine from B600,000 up to B1 million and from three to 10 years in prison, or both, for each foreign worker deceived. Also, employers caught hiring foreigners to perform work in a forbidden position face fines of B400,000 to B800,000, and a possible fine of up to B400,000 per foreigner working in excess of work described in the work permit. “Some have been fully paid for the return, others only partially. 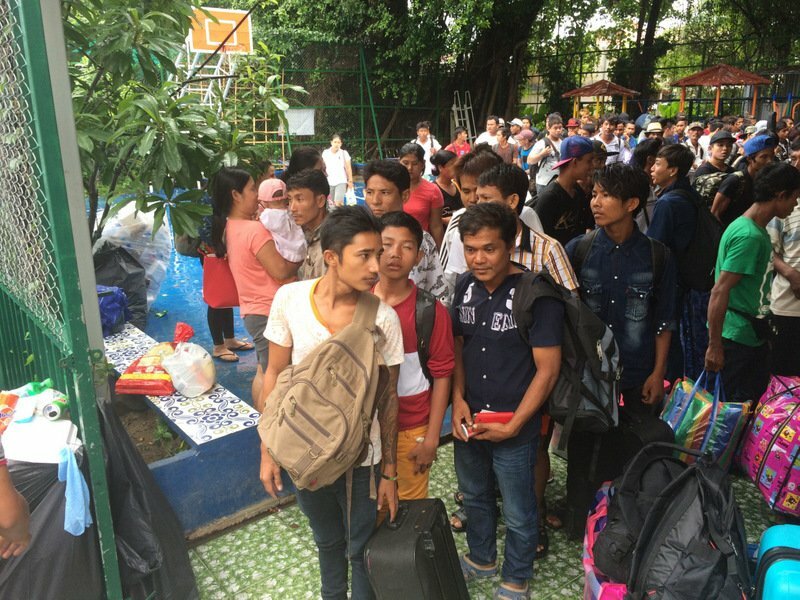 Since Friday (June 30), 65 workers have come for help and have been sent back to Myanmar,” he said. “On [Saturday was] the second batch with 324 people, most recently totalling 389 people, and we continue to receive more requests from labourers,” he added. 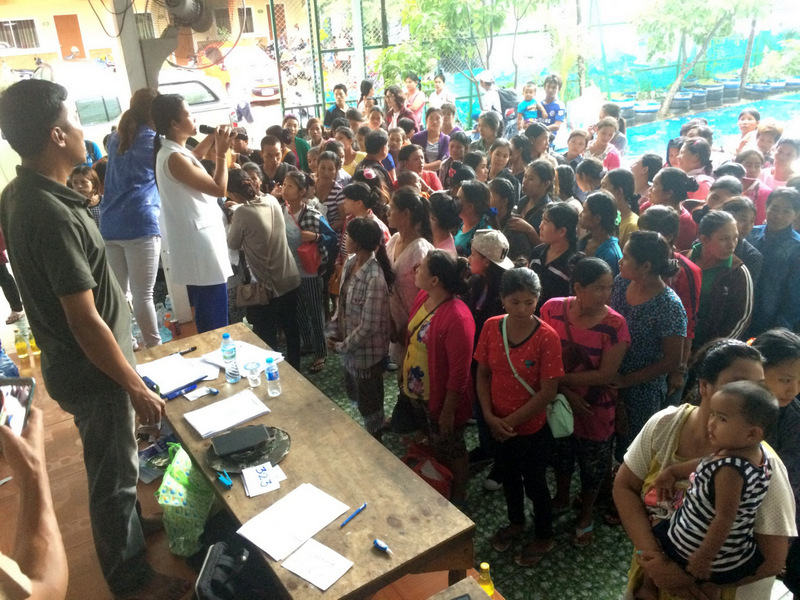 Centre staff prepared all labour records before separating male workers and female workers to stay in two different locations to reduce congestion, with male workers sent to the Tha Ruea Shrine and women and children staying at the learning centre as authorities organised their return trip on Sunday (July 2). Phuket Vice Governor Siwaporn Chuasawad, Phuket Provincial Defense Office Chief Sivach Rawangkul visited the centre on Saturday and ordered relevant officials, including the Phuket Immigration police to assist with the migrant workers’ return, providing drinking water and necessities for the trip. Christy...that's what I said - "the penalties have been upped". Disproportionate against migrants...rubbish. It's a choice they make. If you get away with it, all well and good...if not, too bad. Jor 12,  Penalties are more severe. That's a change in rules. Migrants are disproportionately affected and many are now suffering. I have heard of human trafficking. Christy...it's been the law since Adam was boy! - just the penalties have been "upped." You've probably have heard of human trafficking and what that entails. Nasa12...what has owning bungalows in Karon got to do with this article? @ematt, CaptainJack this man he have 80 + - bungalows in Karon Right or wrong ? This must be fake news because CaptainJack has already assured us that "these 'new measures' are aimed squarely at 'rich foreigners' (and generating income from them)."